She began her music education as a cellist at the Karol Szymanowski School of Music in Wroclaw (class of prof. Feliks Tatarczyk). She studied at the Karol Lipiński Academy of Music in Wroclaw in her mother’s class – prof. Maria Czechowska-Królicka, and graduated from the Academy with a special distinction. In 2012 she spent one year in Riga (Latvia) in prof. Lilija Greidane’s class in frame of Erasmus study programe. In 2018 she received a PhD in Music. In 2016 she was Sorptimist International Poland scholarship holder. Competition „I love Mozart”, Musical Theatre in Poznan, Poland in 2013 (First Prize). 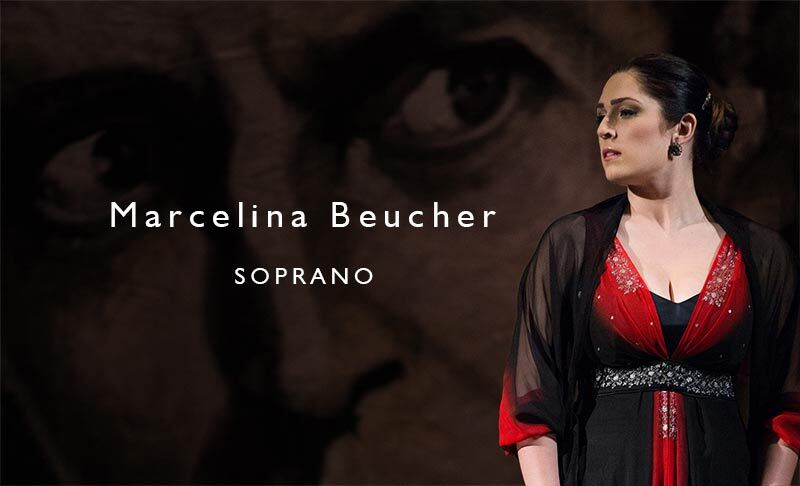 50th International Vocal Competition ‚s Hertogenbosch, Netherlands in 2014(Laureate). I. International Eva Marton Singing Competition, Hungary in 2014 (3rd Prize and three Special Prizes). 4th International Jazeps Vitols Singing Competition, Latvia in 2015 (First Prize). In 2013 she made her professional opera debut at the Gdańsk Opera Bałtycka as Violetta in „La Traviata” by G. Verdi, conducted by Andriy Yurkevych, dir. K. Sofulak, In 2014 she received Jan Kiepura Award for the best debut of the year. After her spectacular success as „Armide” J.B.Lully in Warsaw Chamber Opera (cond. B. Bayl, dir. C. D. Colonna) she was named „Operatic Revelation of 2017 Year”. Teresa Żylis-Gara, Elisabeth Wilke, Helena Łazarska, Andrzej Dobber, Urszula Kryger, Stefania Kałużanka, Sabina Martinaityte, Ester de Bros, Ingrid Kremling, Roberta Aleksander, Vladimir Prodnikov, Simone Fermani, Mariana Nicolesco, Nadine Secunde, Izabela Kłosińska, Leontina Vaduva. Tomasz Tokarczyk, Andriy Yurkevych, Jose Maria Florencio, Wictor Bobkow, Andrzej Knap, Viesturs Gailis, Dariusz Tabisz, Alan Urbanek, Tomasz Bugaj, Marco Balderi, Tadeusz Zathey, Francesco Bottigliero, Grzegorz Berniak, Tadeusz Kozłowski, Vladimir Kiradijev, Piotr Staniszewski, David Jackson, Benjamin Bayl. Anna Sims, Eugene Kohn, Esther de Bros, Richard Hetherington. Cezary Tomaszewski, Ewelina Pietrowiak, Elżbieta Lejman-Krzysztyniak, Jacek Jabrzyk, Karolina Sofulak, Laco Adamik, Maria Sartova, Michał Znaniecki, Natalia Babińska, Paweł Aigner, Barry Kosky/ Suzanne Andrade, David Gately, Deda Cristina Colonna. « Musical Theater for Poznan » Poznan Philharmonic, cond. J. M. Florencio. « XII New Year’ s Eve Concert » Warsaw Philharmonic, cond. P. Sułkowski, J. Maksymiuk. Polish, English, Italian, German, French.